The ultimate choice for your dental care! Equipped with the state of the art infrastructure, a knowledgeable and caring staff, and the highest quality of dentistry, Ferrari Dental Clinic is the most rated clinic for Dental Tourism in Lebanon and the Middle East. 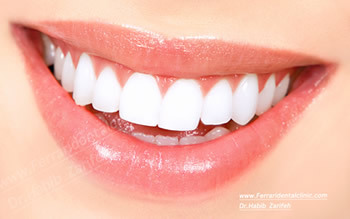 Choosing the right Hollywood smile dental clinic in Lebanon could change your life. At Ferrari dental clinic we take care of your trip from A to Z. From travel details to airport transportation to Hotel accommodation to local tourism: Because we care. Contact the First and only ISO 9001 dental clinic in Lebanon and the Middle East, because quality matters. The concept of dental tourism in Lebanon or also known as Medical Hollywood smile tourism have many factors for a clinic to be able to succeed in such field. The quality of care, the time of treatment, the technology used, the skilled dentists, the networking, the follow up, the computerized systems and the most important the long term results with no pain. Being the first ISO 9001 clinic in Lebanon and being part of well known accredited hospitals and headed by Dr.Habib F. Zarifeh head of dental clinic at Clemenceau Medical Center hospital affiliated with Johns Hopkins International, push us to do our best for our patient's satisfaction and excellence in care, always with no pain and no discomfort. Our complaint department urge us to provide our patients with the most advanced dental procedures from Hollywood smile Lebanon to pediatric dentistry, dental implants, crowns and bridges, laser dentistry, invisalign, incognito, lumineers, veneers, composite veneers and family dentistry. Successful medical tourism is based on a major part on technology, the patients wants the best results in the minimum time and with a long term pronostic. 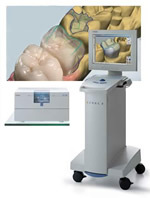 With our Cad Cam cerec technology, we can provide our patients with a prosthetic treatment in one session, whether it's a crown, inlay, only, bridge, zirconium, emax, empress, veneers cosmetic dentistry, all can be done in one session with the maximum accuracy. Also our Laser technology or Laser dentistry allow us to treat the major of our cases without anesthesia, without discomfort or pain. Our skilled dentists are specialized in all fields of dentistry, you are here to be treated with the elite specialized surgeons, each member of our team knows exactly what his task is, the synergy and the synchronization of our dentists provide our patients with safety- care and excellence.